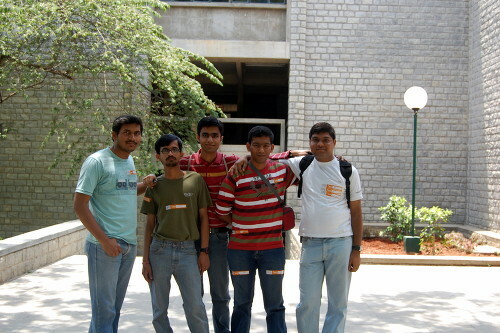 Me, Veetrag, Prsn, Shailen, Nimish are at IIMB now. 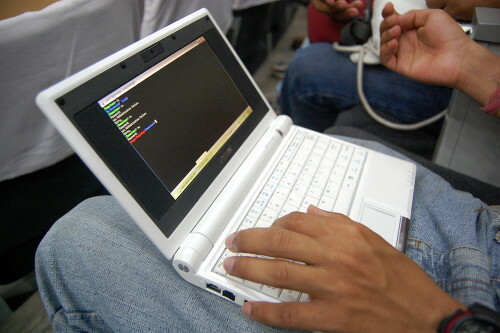 I am blogging from EEE PC, its s really cool tiny device that is bloggers dream [That was KV]. We recorded a video using built in camera of EEE PC. Here is the video. 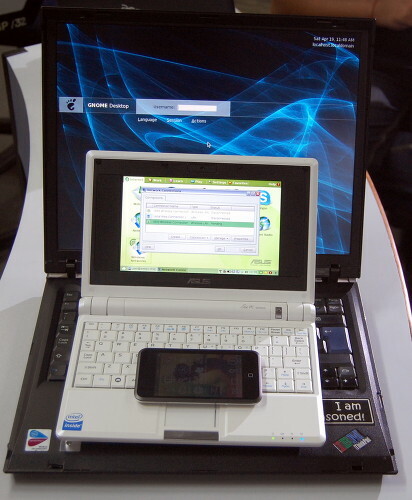 EEE PC by default runs Linux (Xandros). Session in progress! Can you imagine the subject of the session? 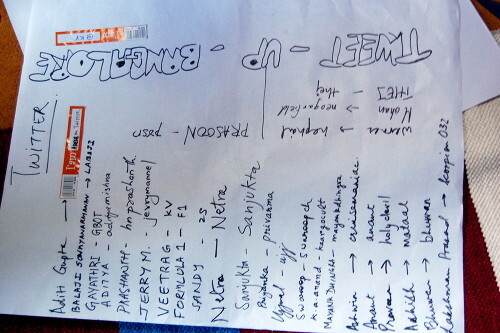 This picture was taken by me but the idea was of prsn. The video seems to be no longer available on Youtube. The video is still there.